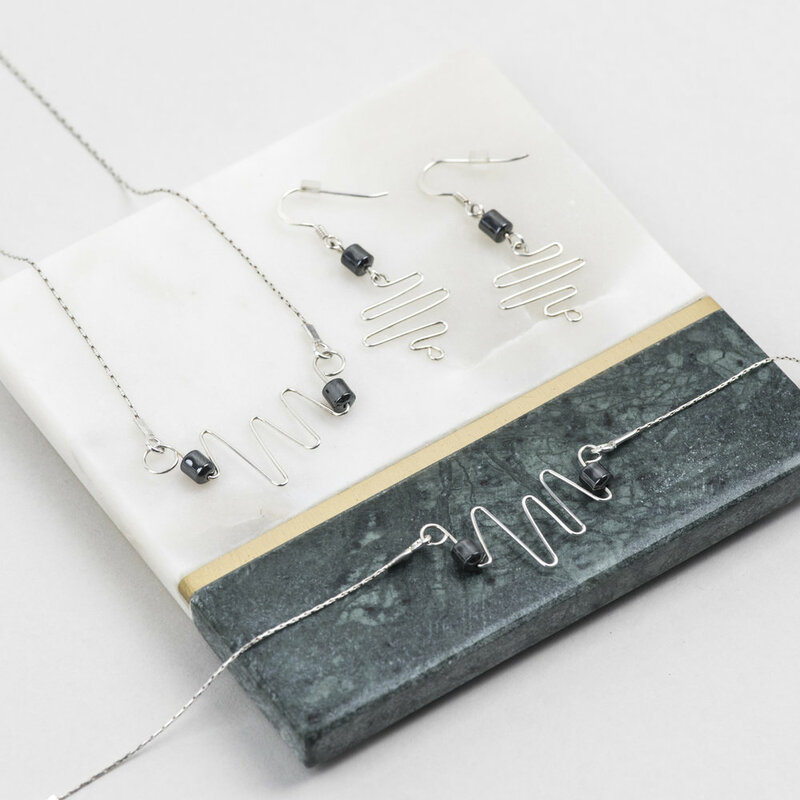 Miriam Markham has four elegant collections of jewellery featured below. Yediah is a beautifully created swirl design available with white or purple freshwater cultured pearls , rose quartz, turquoise and Swarovski crystals. The Rococo collection is a modern style zigzag shaped design available with bright turquoise, warm amethyst or dark hematite stones. 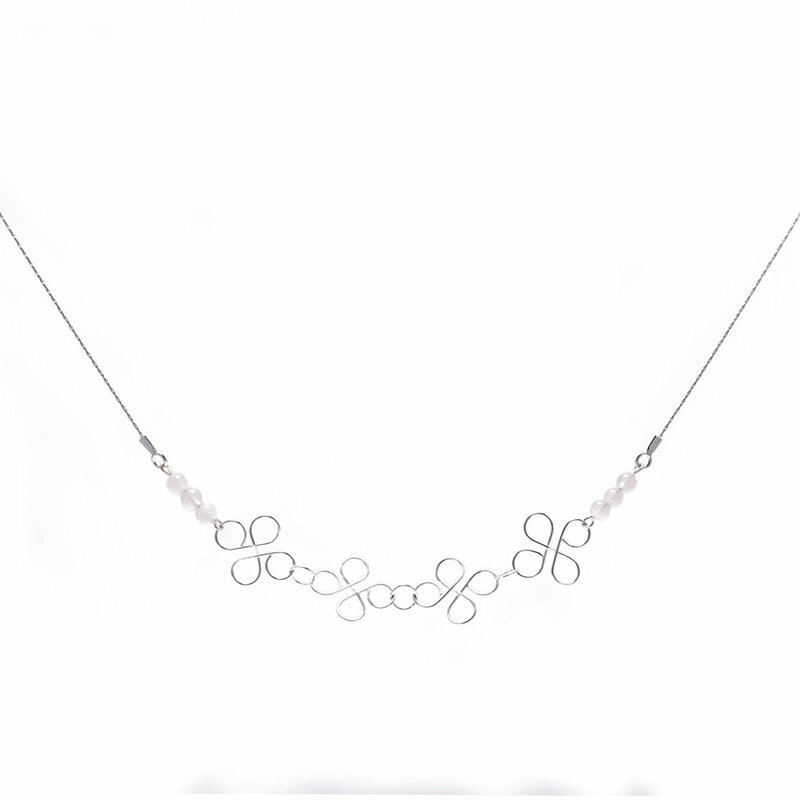 The Lotus collection is a gentle floral shaped design available with subtle rose quartz, deep garnet or dark blue goldstone stones. 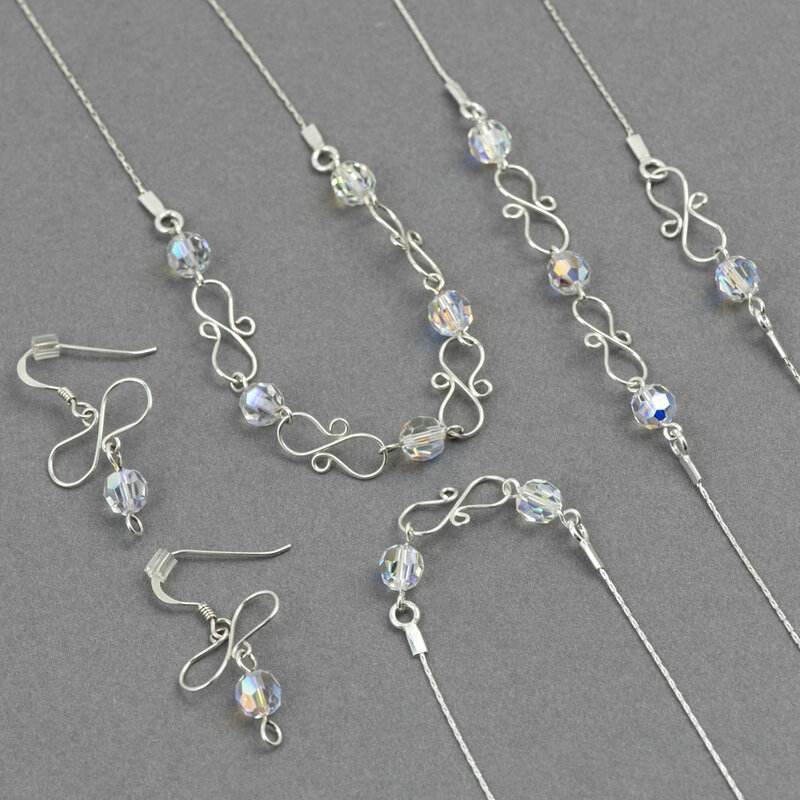 Meridian is a simple and modern collection available with beautiful Swarovski crystals and subtle rose quartz stones.